Win One of 3 Great Prizes! Thanks to everyone who entered. A new sweepstakes will be announced soon! 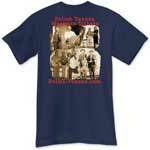 Limited edition Polish Texans Musician Tribute T-shirt in your choice of size and color. Shirt courtesy of Polish Heritage Gift Shop. 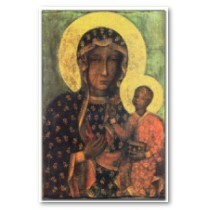 28" X 34" Our Lady Of Czestochowa poster print courtesy of Polish Heritage Gift Shop . 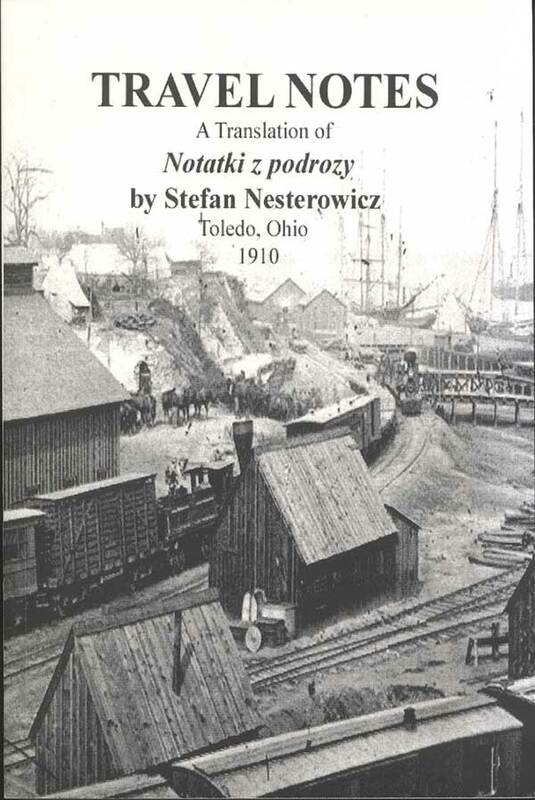 3rd Prize: Travel Notes book published by the Polish Genealogy Society of Texas Travel Notes is a translation of Notatki z podrozy by Stefan Nesterowicz. This fascinating book is a great read. Contest question must be answered in the comment section below for entry to be valid. Site administrator reserves the right to remove comments that are not suitable for this contest or web site. Sweepstakes entries valid from November 1, 2010 until November 15, 2010. The sweepstakes is open to anyone 18 years of age or older but the prizes will only be shipped within the United States and Canada. Prizes will be shipped to a valid US or Canadian address only. Only one entry per person for the entire sweepstakes run. Three (3) prize winners will be selected in a random drawing on November 16, 2010 from among all eligible entries received. Decisions of the site administrator and sponsors are final and binding. Odds of winning will depend on number of eligible entries received. Winner will be notified by email at the address provided in entry. E-mail address must be valid so we can contact you if you win. E-mail address will not be shown in comment. Please use your real name for verification purposes. Answer the following question in the comment box below for your chance to win. October was Polish Heritage Month. What did you do to celebrate your heritage? enjoyed listening to the different Polish music bands that were performing! my makeshift singing rehearsal studio. Hee Hee. turkey also. And I am trying to learn some of the songs for the Kolendy so I won’t just be moving my lips. My Polish heritage is near and dear to my heart and is celebrated daily. I have a Polish flag decal which says “Proud to be Polish” hanging on my bulletin board at work along with a Polish Zloty coin taped right next to it. 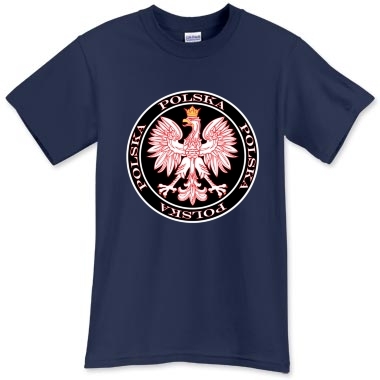 It is a daily reminder of the incredible gift of being Polish. The month of October celebrates my heritage and my birth so my gift to myself was practicing the fiddle reminding myself of the fond memories I have of listening to Polish music, laughing with friends and family, dancing til the wee hours of the morning and being thankful of the many blessings God has provided. During a recent visit to Rome, I had the privilege of meeting a young man from Poland. Tommy paid me a very kind compliment as we bantered back in forth with my limited Polish, he said…”You don’t speak Polish with an American accent – you speak it very well.” Whether it was the wine clouding his hearing or just his kind nature — I tip my glass in a phrase of thanksgiving …….”THANK YOU JESUS — I AM POLISH”!!!! I thanked God for my Dad and remembered him. Flew my Polish flag on my car.Made golabki and pierogi. I celebrate my heritage every day just by being proud to be Polish! I am 63 years old and have wonderful memories of our celebrations during the Christmas and Easter Holidays. Those celebrations are still very much a part of our family and are now being shared with our grandchildren. I also know that my Grandmother’s family was one of the original Polish families of Texas although I have yet to explore this part of my family tree. October is also the month of my birthday. I celebrated by attending mass at St Pius X church and praying for peace in all nations. I trace my grandparents back to Poland and would love to visit one day. God bless the Polish people. I read the “Legend of the Wawel Heads” to my students. We also looked at some of my photographs of Wawel Castle, including close-ups of the carved heads which hang upside-down in the Audience Hall. As my contribution to continuing Polish heritage, I produced a daughter on October 6th. My husband, Joseph, and I visited the Polish settlement of Bremond, Texas, where my family has roots. My mother, Sophie Pisarz, and my father, Alexander Bielamowicz, were both born there and were married in the old St. Mary Catholic Church on November 11, 1941, in Bremond. They were so proud of their Polish heritage and their hometown, and passed this on to their children. In June, we attended the “Polish Day” parade and activities. In October, we went to St. Mary’s bazaar and while there also visited the cemetery – the resting place of numerous relatives including my grandparents, little sister, uncles and cousins. We toured historical downtown Bremond, where my father owned a meat market in the late 1930’s. I worked on our family tree. Every October, the Polish-American heritage group I belong to celebrates the harvest season. We do this by holding a festive Dozynki. Several members, myself included, create fancy wreaths with an autumn theme. There is food, fun, raffles, and lots of friendship! every year i hand make keilbassi and smoke it just to keep the tradition alive. I’m Polish and I like it everyday.I’m proud of our rich culture, natural beauty, our traditions and customs, our religious heritage, our own language, our ancestors, the way I was raised, tight family ties. I’m proud of what Poland stands for and what it’s all about. I’m happy when Poland and Polish people are doing well, I’m sad when some disaster strikes. I am Polish and Proud of it! My Polish heritage comes from ancestors that came by boat to the United States. They settled in Chappell Hill, TX . I have property that belonged to them and I am living on that same property today. I remember my grandparents along with my parents butchering a hog and making Kielbasa and Kiska from it. My brother and I still make Kielbasa and Kiska using the same ingredients from their recipe. We just made some Kielbasa and Kiska the weekend of October 23rd. I have attended several events in the month of October, enjoying meals with czarnia, rosel z kury, sauerkraut, sausage along with delicious desserts and ice tea. I will keep my Polish traditions in my heart as long as the Good Lord blesses me to be on this earth. Took my Polish neighbor out to lunch. Great guy. I celbrated my birthday(10/29) and glad to be born Polish. To celebrate my Polish Heritage in the month of October I have begun to teach myself to read the Polish language. Everyday, to and from work, I pratice speaking by the use of tapes I have purchased. A am proud of my Polish heritage and I began this journey 3 1/2 years ago. It has been a hard, uphill struggle, especially at my age but the more I learn, the more I want to know about our Poilish language and culture. This October, I have been reading several books on Polish customs. I think many of the country wedding customs are especially interesting. I also have been practicing my cooking in preparation for the upcoming holidays. I tried baking some pierniki. They turned out pretty good, but I still need some work on these before Christmas! I send a prayer to my mom in heaven thanking her for her Polish heritage of which I am so proud. I spent a lot of time with my Baba, eating incredible polish food and hearing awesome stories about the homeland. I also took some time to revisit and remember my visit to Poland in 2007, I can’t wait to go back!! I am very proud of my Polish Heritage beginning with my birth in Chappell Hill, Texas in the month of October. Indulged in Polish food and festivals during the month. Several trips to the LDS library researching several families who settled in Chappell Hill who came from Slawno, Poland. This research will then be published in Polish Footprints, a periodical of the Polish Genealogical Society of Texas. I can understand and can speak Polish, however I am not fluent in the language. I salute the gentleman who is learning the Polish language with tapes. That shows true dedication to his Polish Heritage. 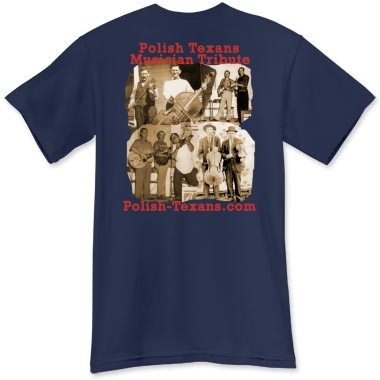 To celebrate and promote my Polish heritage I think I am going to click on the “Mall” tab of the Polish Texans website and purchase some items that will enhance my education or perhaps some cool shirts to enhance my childish good looks…while at the same time helping fund the many projects that Mr. Smock is always working on free of charge. I ate Polish food and listened to Polish music. We eat kielbasa and pray to the Polish saints. As a member of the Polish Genealogical Society of Texas and acting editor of our periodical “Polish Footprints”, I am mindful of my heritage daily. However, in the month of October I was able to help a charming lady locate the marriage village of her great-great grandparents. Apparently, she had been searching for this information for almost 20 years. It is a wonderful feeling to be able to bring the Polish heritage to light. Although I was not able to attend the wonderful church bazaars and homecomings during the month of October due to recent knee surgery, I was able to get all the highlights from this website. Almost like being there. Thank you James Smock for your tireless attention to our beautiful Polish heritage. We took my mom to Bremond Texas for their Polish Festival since this is where she and my Dad are so proudly from. Growing up we spend every other weekend in Bremond and I have done a lot of research so that my sons will know where there family has come from. I am Proud to Be Polish.